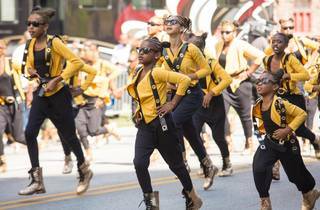 The annual Bud Billiken Parade may be a reminder that kids will be heading back to school in just a few weeks, but it's also a celebration of the talents of Chicago youths. Taking place in Bronzeville, the Bud Billiken is considered to be the largest African-American parade in the country, attracting more than a million attendees. Students make up the majority of the parade's participants, showing off their skills in dance squads, drill teams and marching bands. This year, the theme of the parade was "Honoring our Hometown Heroes," and organizers managed to get one of Chicago's foremost modern heroes to serve as Grand Marshal. Chance the Rapper led the parade to Washington Park, where he gave away 30,000 backpacks to kids heading back to school. Later in the evening, the South Side-native hosted a free concert at the Auditorium Theatre, which featured performances by Jeremih and Future. 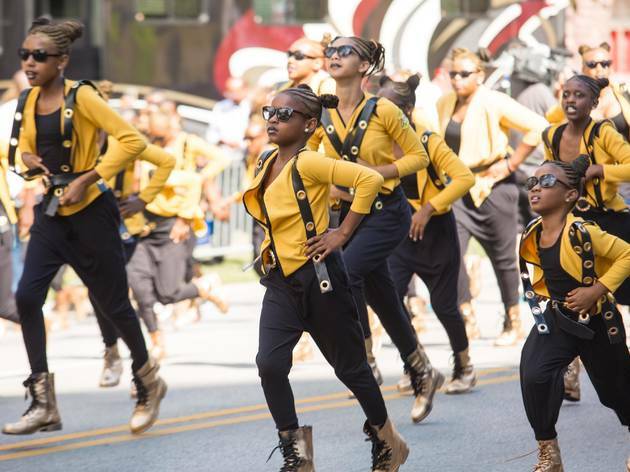 If you didn't witness the dance teams (with gigantic mobile sound system), marching bands and politicians that hit the streets for the Bud Billiken, check out our photos from the parade.